Electric Golf Carts - Which is Better? Gas or Electric? Electric golf carts are not only for golfing, but they are a great form of transportation if you live in a golf cart community like we do. We can get to stores, schools, restaurants, dentists, doctors offices or any neighborhood all on 100 miles of golf cart paths. If you are considering purchasing an electric golf car there are several manufacturers to choose from. Wondering if you should get an electric or gas golf cart? Here are some of the things one should consider. 1. How will I use the golf cart? 2. Where am I going to use the golf cart? For most uses and functions the electric golf cart can provide the power and length of charge that is needed. A gas golf car may be best if it is used for hunting, farming, or for trips that require you to go a greater distance than an electric charge can take you. With a gas cart you can fill the tank and carry an extra gas can with you so you can go farther than a fully charged electric golf cart. Because of the pressure from the EPA, there has been tremendous progress in the performance of the electric golf cart rather than the gas cart. You can always keep your gas golf cart running as long as you have access to fuel. The range of electric golf carts can easily go more than 2 rounds of golf and we can drive on the paths for hours on one charge. Of course your batteries need to be fully charged. If you will be using the golf cart in a way that you'd be literally driving it all day, lets say for hunting, then consider a gas cart - you can always bring extra gas with you - but you can't bring extra batteries. An electric golf cart needs several hours to recharge once the charge has been depleted. How far or how many hours do you plan to use your cart? There seems to be a wide variety of statistics for this. Between 30-50 miles on one charge is possible with new, fully charged batteries. One of the biggest advantages of an electric cart, is that it is much easier to maintain. With less than 50 moving parts, compared to over 1000 for a gas cart, there is much less opportunity for things to go wrong. A gas cart is much like a gas operated car - it requires regular oil changes and tune ups while an electric cart does not. As gas prices go up, so does the cost of using a gas cart. You also need to be sure you have gas on hand. An electric golf cart only needs an outlet. One of the biggest costs of maintaining an electric golf cart is the batteries. That is one reason some people want to consider a gas golf cart. A set of 6 batteries can cost around $600. They need to be replaced every 4-6 years depending on your use and regular maintenance. However, gas carts require engine tune ups, maintenance and the cost of gas. Other disadvantages to gas is the noise. An electric cart is so quiet that often I need to make some noise with a bell to an unsuspecting runner on the paths. Electric is more environmentally friendly - it doesn't produce any fumes or smell. One area that the gas cart excels in, is power. If one is using it to go over rough and steep terrain gas has more power to climb those steep hills. When I'm driving up one of the long inclines in our golf cart community, it is a slow climb while the gas cart owner quickly passes me without any problem. Gas carts pollute and electric carts do not. The electric golf cart engine is much more environmentally friendly producing no emissions. The Federal Government and many state and local governments continue to crack down on all types of gas engines, including the gas golf cart. Some states like California have banned gas golf carts in several regions and other states are considering it. Be sure to check the regulations for your state before you make your purchase. 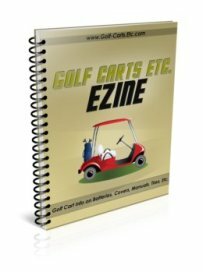 Most carts that are used for golfing or for cruising around town are electric. Because they are quiet and "green" they are the preferred type of cart in our community. 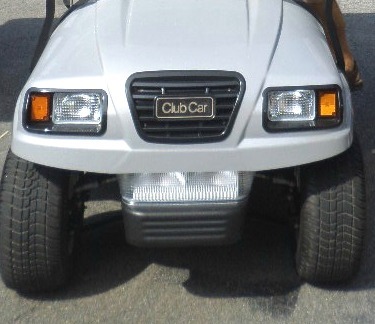 I have owned a used Club Car electric golf cart for the past 22 years. We bought a 1987 Club golf cart used when we first moved to Peachtree City and then upgraded to a used 2006 Club Car. It has been a very reliable and low maintenance golf cart. A lot has changed in 18 years and Club Car offers some great new golf carts. 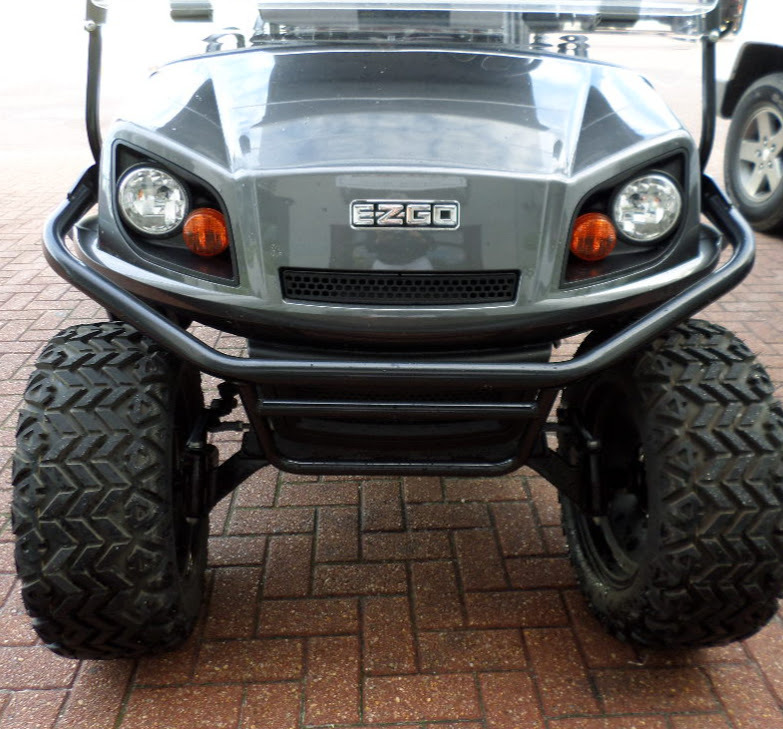 They are one of the top choices for an electric golf cart for golf courses and for golf cart dealers. 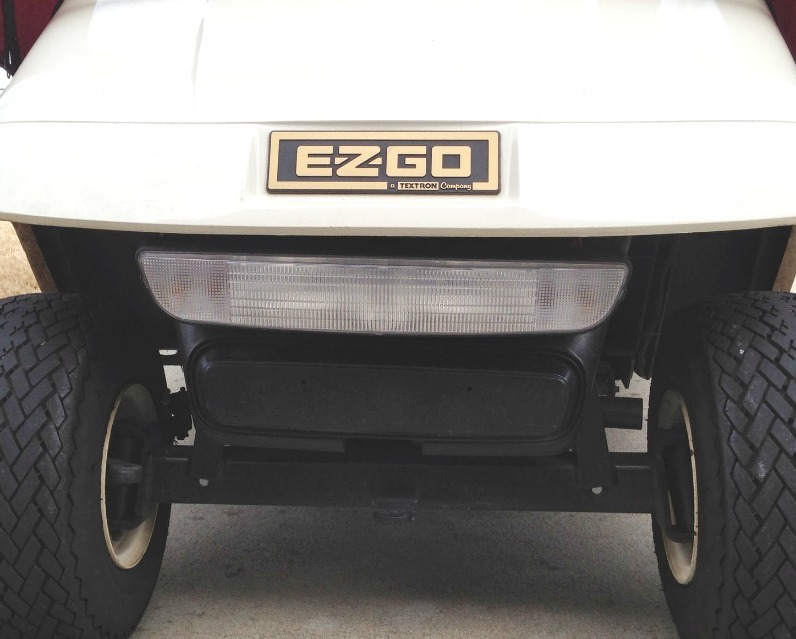 The EZ Go Golf Cart is a very familiar brand of golf carts in Peachtree City. My daughter and son-in-law love their EZ Go. They have owned theirs for 15 years with little need for repairs - well except for when my son-in-law overinflated the tires. Oh, yes and then there was the time my daughter ran the golf cart into a wall. 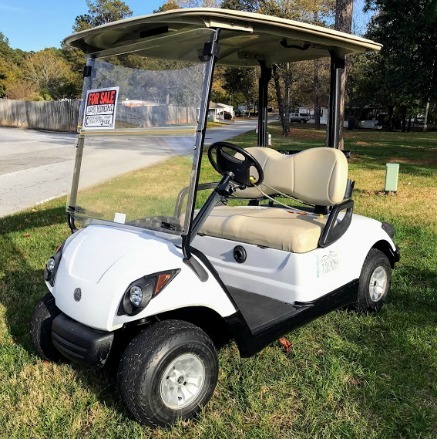 The Yamaha golf cart comes in many different models and can be used for many different functions. They are a solid performer with good reliability. 3) Transportation golf carts used by hotels, churches, resorts, etc. 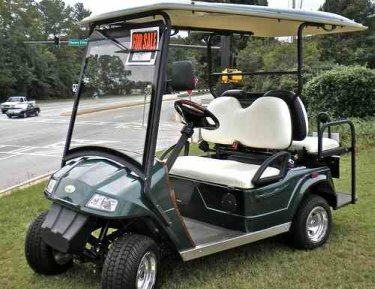 Living in a golf cart community, there are many used golf carts for sale. Don't be afraid to consider a used golf cart. Replacing batteries can be a big expense - and they keep getting more expensive each year. Some electric golf cars belong to a class designated by the Federal Government as a 'Street Legal' vehicle. They are also called Neighborhood Electric Vehicles (NEV). The main difference between a regular golf cart and a NEV is that they are safer, go faster and usually seat four people. 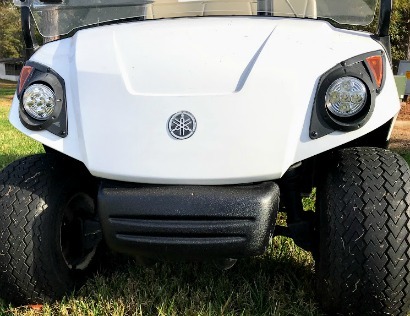 A solar powered golf cart can extend how far your electric golf cart can travel on a single charge and can save you money on your electric bill. A solar panel can be added to your existing golf cart. If you use a golf cart enclosure you would need to use the track system rather than one that fits over the top. A golf cart electrical wiring diagram is essential for those who, like me, do their own electric golf cart repair. 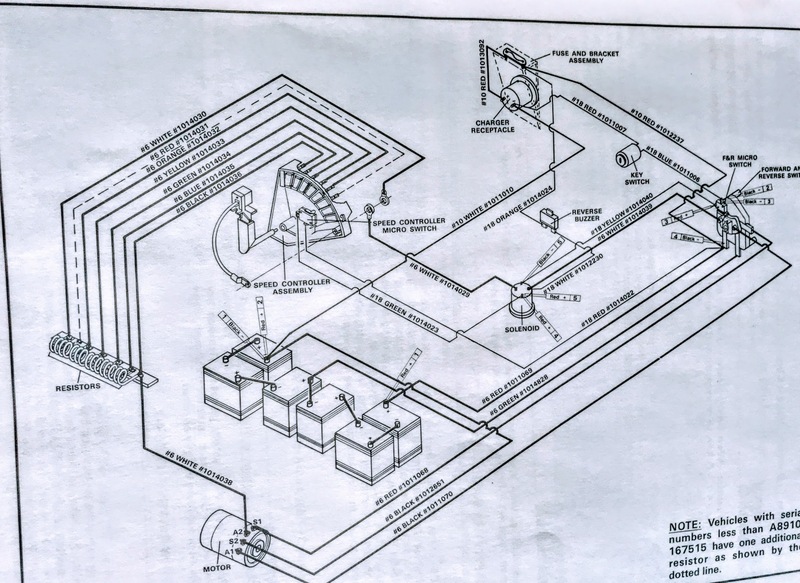 So if you landed on this page after an internet search you are wanting to know, "How can I get golf cart wiring diagrams?" Of course to get the right diagram you need to know the make and model of your cart and the year it was made. I have found that the Buggies Gone Wild forum posts many of electrical wiring diagrams for most of the common electric golf carts - so you may want to try there first. You can find a golf cart wiring diagram at most of the golf cart manufacturers websites (except for Club Car) by going to their service manuals. Most often they are free and can be downloaded and printed in a PDF file.